Hope y’all are having a great Heritage Week! With Canada/Ontario 150 this year, it’s the perfect time to celebrate achievements and take stock. 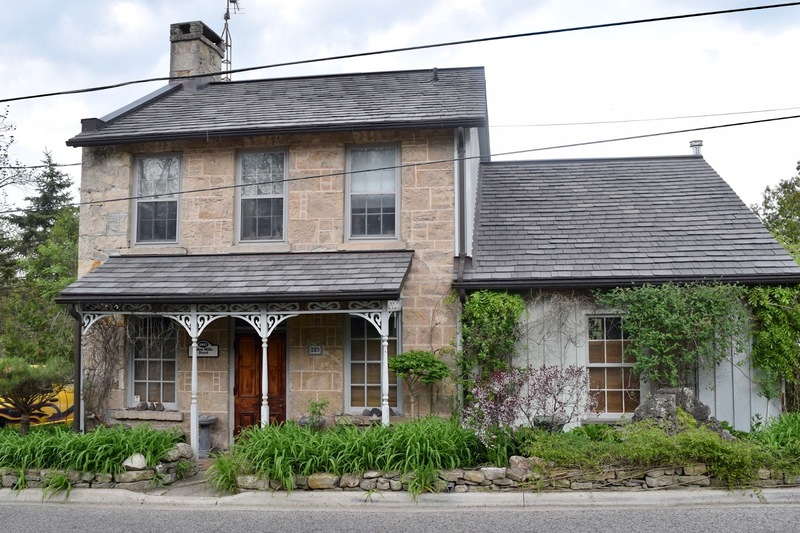 My local branch of Architectural Conservancy Ontario holds its annual Heritage Week celebration in Stratford tonight. We’re using the occasion to mark an important milestone — the 200th application to our Historical Plaque Program. Launched in 2011, the Historic Plaque Program is the marquee program of the Stratford/Perth County Branch. As of today, almost 210 plaque applications have been received, with about 35 in 2016. 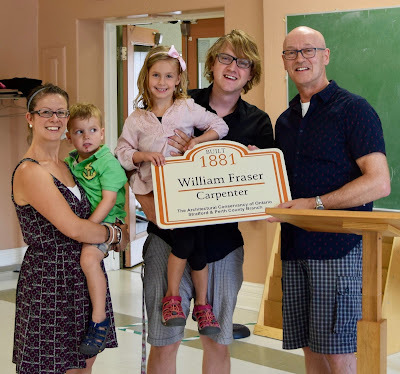 The purpose of the program is to recognize and promote the architecture and history of older buildings in the city and county by providing owners with handsome and publicly visible plaques, while also raising funds for branch activities. Plaques include the date the building was built, the name of the first owner or occupant, the occupation (and sometimes employer) of that person, and the name of the branch. The plaque is rather large in size (20” by 14”) and is made of plastic (yes, they hold up quite well). Plaques are mounted on the wall of the structure in a place clearly visible to the passerby. 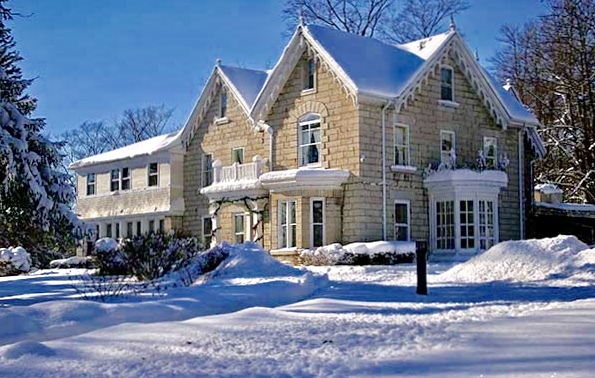 A one-page report or monograph summarizing the research undertaken by members of our plaque committee, including a photograph of the building, accompanies the plaque. The report is also posted on the branch website. The plaque application fee is $125, of which approx. $90 covers the cost of the plaque and the balance goes toward branch operations. The applicant receives a tax receipt for $30. Along with membership dues, the program is the chief source of branch funds. 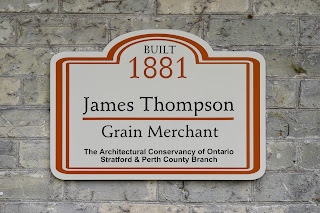 So far almost all plaque applications are from Stratford and are for houses. On a few streets in particular the program has really caught on, with every second or third house sporting a plaque. Outside the city there are now three plaques in St. Marys and five in rural areas of the county. 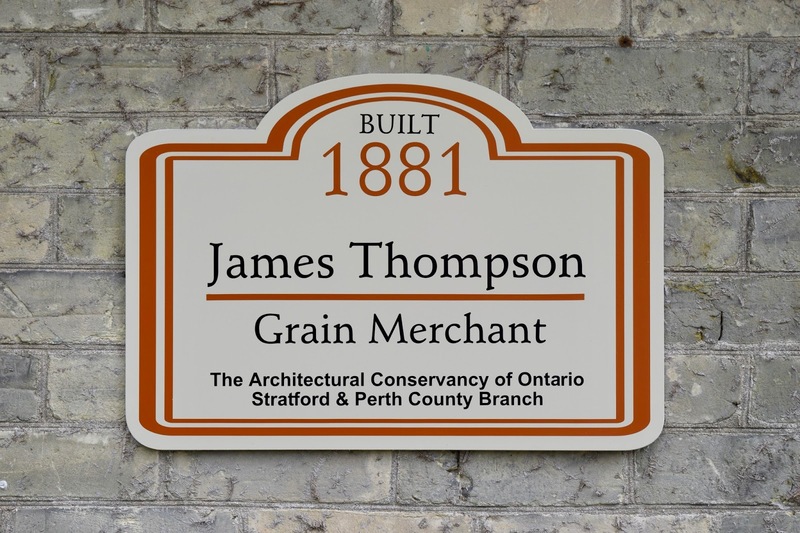 It may not surprise you to know that a chief selling feature of our plaques is that they do not involve designation under the Ontario Heritage Act! I’m also proud that this Heritage Week marks the second anniversary of this blog, OHA+M! Individual designation activity seems to have recovered with about 100 by-laws passed in each of the last two years, up from 78 in 2014. But still well down from the high point of 155 in 2008. 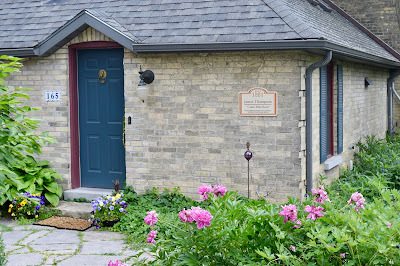 Back to the local, I’m pleased to report that after a few years of study, and a hiccup or two, St. Marys is on the brink of creating an HPTR program. That will make 47!